With the Display Color Calibration on Windows 10 laptops and notebooks, it is pretty easy to change the color settings to improve the readability on the screen! 1.) ... Start Display Color Calibration on all Windows OS! 2.) ... Windows will not save screen calibrations? 1.) Start Display Color Calibration on all Windows OS! In Window "Display Color Calibration" please click the "Next" Button, to start the calibration. And now, just follow the onscreen instructions, make sure that your display is set to monitors native screen resolution, to improve the accuracy of the resulting calibration. 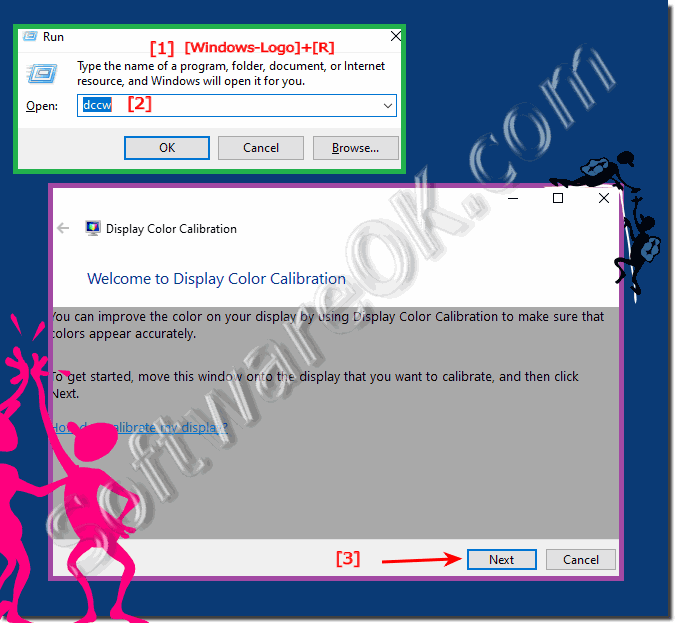 (Image-1) Windows 10 - Run Display Color Calibration! To get started and set basic color settings for your display on Windows-10, press the menu button for your display. The menu button, usually located in front of your monitor, opens the on-screen display menu. To determine which button opens the on-screen display menu, see the documentation for your display. If you have a display calibration device for windows or windows server that came with other software, consider using the color measurement device with the accompanying software instead of Display Color Calibration. Using the calibration device on windows 10 with the accompanying calibration software that often comes with it can help you get the best color on your windows 10 display. In general, using a color measurement instrument to calibrate your display will result in a better calibration compared to the results of doing a visual calibration on windows 10 . (Image-1) Color Calibration on Windows 10! 2.) Windows will not save screen calibrations? ... Change product key in windows 10 for a new activation! The Windows color settings that you can change, as well as how you change those color settings, depend on your monitor's display and its capabilities. 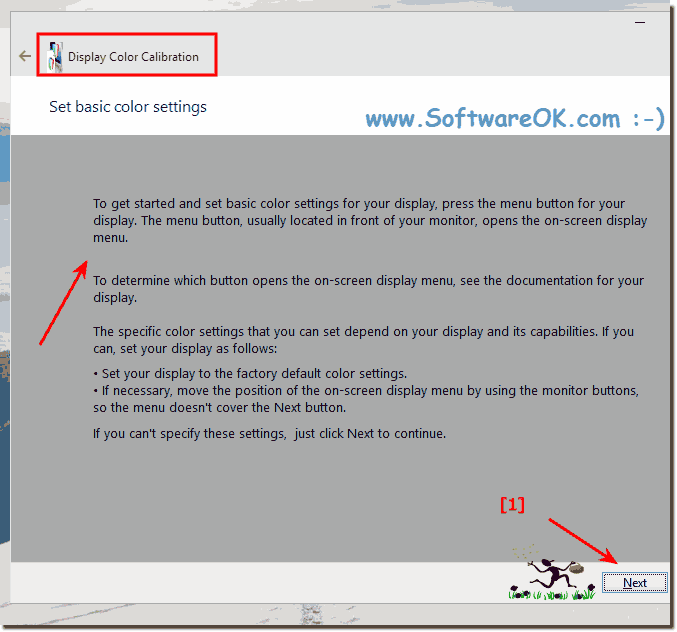 Not all monitors have the same color capabilities and settings, so you might not be able to change all the different color settings when using Display Color Calibration on Windows. Finally to the color settings! As you can see in Windows 10 shot screenshot above, Windows color settings are not secret features, you can easily use this example as a color settings solution on previous versions of MS Windows operating systems, regardless of whether the settings on the Windows desktop computer must be made, or to change the color settings on the tablet PC, MS-Surface Pro / Go. This example for monitor color calibration is also suitable for Windows 10 (Redstone 4 & 5) Pro, Enterprise, Home, Windows 8.1, Windows 8, Windows-Server 2016, 2012, 2008, Windows 7 Basic, Professional, Starter, Ultimate to ease change ergo customize display color settings! Windows-10 - FAQ-55: Display Color Calibration on Windows 10 laptops and PCs (7, 8.1), how to?